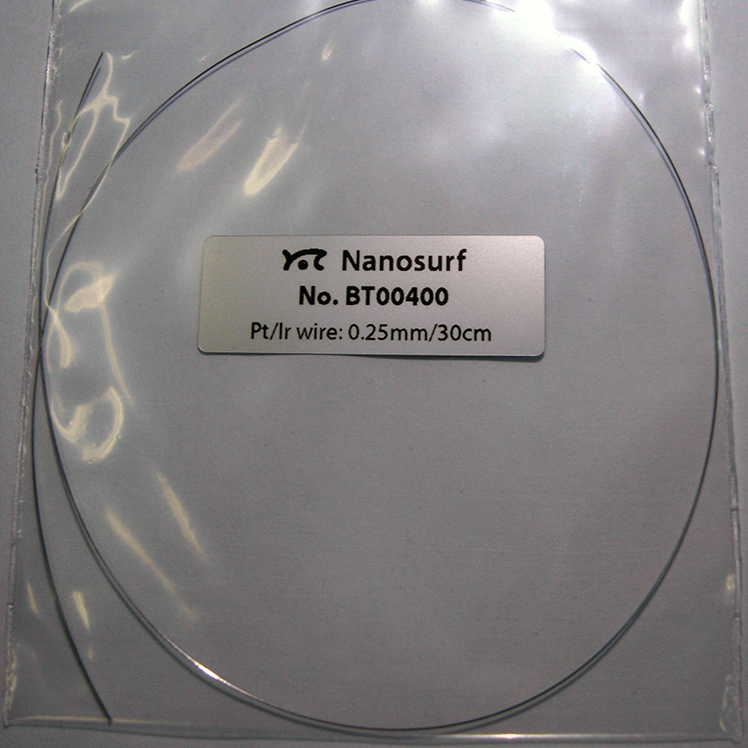 This wire is sufficient to obtain up to 50 STM tips. The wire is an alloy of 90% Platinum and 10% Iridium. Note: Always use clean tools to cut STM tips to prevent contaminations at the tip. See the manual for more information.